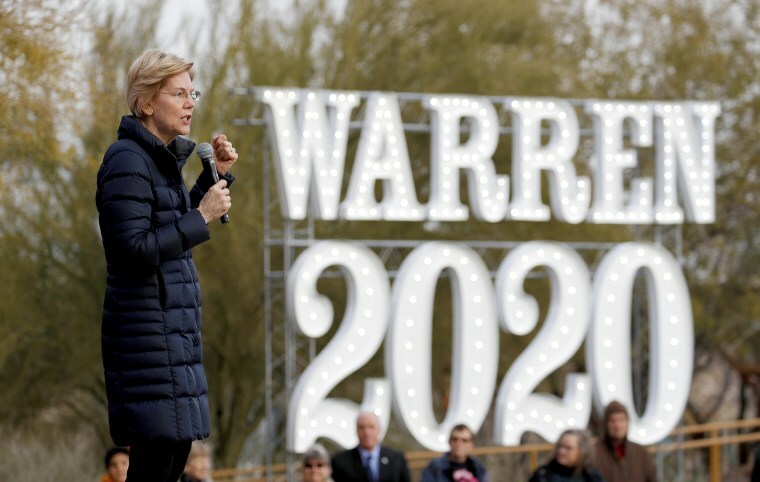 Miles Howard: Elizabeth Warren's ideas blow rival 2020 Democrats away. Her public lands plan is no exception. Miles Howard Elizabeth Warren's ideas blow rival 2020 Democrats away. Her public lands plan is no exception. Warren understands that an effective environmental conservation movement must give Americans a stake in the future of their planet. One of the most elemental challenges of fighting climate change is persuading people to care about the environment — or at least, getting them to care about it enough to take action. Right now, America is stuck in a strange rut where most people support the concepts of cutting emissions and protecting wilderness areas from development. But when it comes to organizing and voting for climate change solutions, the electorate has yet to collectively mobilize. Maybe that’s because too many of us are relatively comfortable and complacent, but there’s another possibility that we ought to consider: perhaps too many Americans have become separated from the natural world itself. Warren’s ideas are important. Indeed, her latest one is uniquely visionary. That seems to be the operating theory of a bold new plan for public lands usage that Democratic presidential hopeful Sen. Elizabeth Warren released this week. Warren has been leading her peers with a series of proposals that set her apart from the field intellectually. But her policy mastery hasn’t translated to approval ratings. And that’s a shame, because Warren’s ideas are important. Indeed, her latest one is uniquely visionary. In addition to catalyzing a new CCC — a proudly on-the-nose ode to President Franklin Delano Roosevelt’s New Deal — Warren’s plan would also expand public access to the outdoors by making the national parks free to visit and opening up huge tracts of restricted lands in the West for “responsible recreation.” The plan is somewhat nascent and leaves ample wiggle space for other means of putting the great outdoors within easier reach of the general public. But if there’s one overarching theme to the plan, it’s the idea that most Americans are long overdue for a reunion with Mother Nature, and that the federal government should facilitate that homecoming however possible. Warren’s thesis is backed up by years of studies that suggest Americans are indeed losing touch with the great outdoors. A 2017 survey conducted by DJ Case and Associates (a consulting firm that specializes in conservation projects and public engagement) found that most of the 12,000 adults queried only spent three to five hours outdoors each week. And this past October, a similar study from North Carolina State University and Clemson University found that the older American kids get, the less time they spend in nature. The allure of screen technology, among other things, was cited as a factor in this widening gulf between adolescents and the outdoors. In the outdoor recreation community — a community in which I work as a travel writer and a hiking guidebook author — there’s a folksy belief that early and consistent exposure to the wilderness is what turns kids into conservationists. I was fortunate enough to experience the White Mountains of New Hampshire as early as kindergarten, thanks to their proximity to my home and my parents’ willingness to take me there. Thanks to these experiences — summiting the granite cone of Mount Chocorua on a gusty day, following chuckling streams to rip-roaring waterfalls — the great outdoors became something of an old friend. By the time I was old enough to engage in civil disobedience for a cause, I was ready and willing to throw down for Mother Nature in a major way. The brilliance of Elizabeth Warren’s public lands plan lies in its understanding that an effective environmental conservation movement must give Americans a stake in the future of their planet. Making the national park system free to all visitors would break down economic barriers that keeps millions of Americans from experiencing and befriending nature. And this could be further augmented with additional provisions such as expanding public shuttle service within the parks and establishing similar modes of transit to the parks from urban centers. Some of Warren’s 2020 competitors have begun to unveil features of their own climate plans — Gov. Jay Inslee’s commitment to ending subsidies for fossil fuel companies, and Andrew Yang’s carbon capture technology development idea, for example. But characteristic of so much of her policy ideas this election, Warren's plan has the vision, scope and realism needed to truly make a difference. It accounts for a gulf between people and nature that will limit the impact and growth of climate movements if left to widen. And it reveals a dimension of Warren herself that most of us haven’t seen. Warren is far more than a market regulation rockstar. And it’s about time that a presidential contender preached the gospel of outdoor recreation. Elizabeth Warren’s willingness to talk about nature in all of its mosquito-bitten glory sets a new bar for her rivals. Miles Howard is the author of "The Early Voters: Millennials," "In Their Own Words" and "On the Eve of a New America." His work has appeared in The Outline, The Nation, the Los Angeles Times, The Hill and WBUR. His next book will look at the emerging wave of progressive Millennials running for public office.